There are more companies that provide SEO services than there are treatment centers. These companies charge from $500 to $10,000 a month for their service. These companies optimize your pages to make it easier for folks to find your website. There’s a couple of problems with this model. First, you can’t be an expert in all areas. 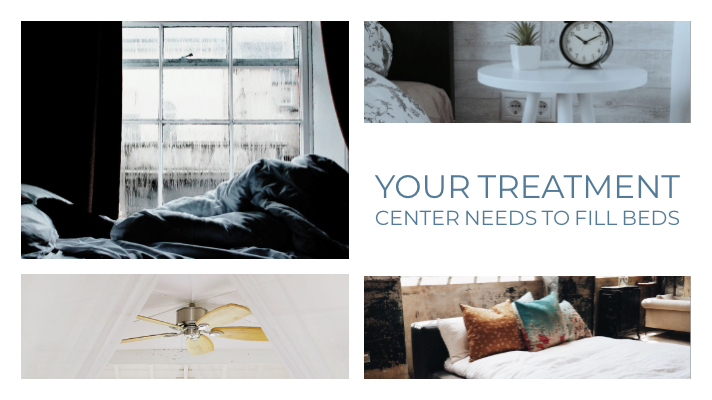 There are very few marketing companies that exclusively work with drug treatment centers. Second, it’s hard to catch up with the big players who have had teams of people writing content for up to a decade. Sometimes, the content dates even farther back then 10 years. It’s not hard to get discouraged. Just google a few phrases to see the common names that always show up. I get so frustrated, I’m sure you do too. Sometimes when I am researching a topic in the drug treatment industry I use bing.com to get a wider variety of results. Large treatment centers conglomerates have mucked up the search results so bad, I can’t find the information I need. Remember search engine optimization is so people can find exactly what they are looking for. Why? Because standard SEO methods don’t work on increasing admissions to treatment centers. Most agencies and contractors follow a cookie cutter SEO strategy performing “me too” SEO services and tactics. We only provide marketing services that produce actual intakes, not worthless click bate. Trust when I say we have found this out the hard way. 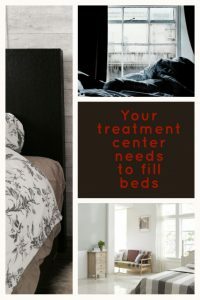 Addiction treatment centers and drug rehabs need to keep clients. SEO is one good method to increase admissions. You need time to make yourself available to help people in need. We want our drug rehab content, keywords, tags etc. to appeal to a few simple concepts. It’s not just about people visiting your site. That is easy to do. You want to attract the right people. The best way to figure this out is by doing advanced tracking. This is done by tracking engagement time, scroll tracking and link click. Since 2014 we have been providing SEO services EXCLUSIVELY for drug and alcohol treatment centers. More importantly than actually providing those SEO services, we have answered thousands of live calls and chats that were produced from those SEO Services. From lead creation to client admission, and ongoing family support, we were involved in the entire process. We create, and more importantly assist, in the completion of the treatment process. We know what works and what doesn’t. Give us a call and let us do a free analysis of your company’s website. If we can add value we will tell you how. If we can’t add value we will let you know that too. We’re not going to dazzle you with pretty reports and graphs that show (worthless) increased traffic to your website. We will track a person from our SEO through admission. We know that’s all that counts. My gut tells me if you’re looking at this page you probably have had enough double talk and fancy graphs and actually need more clients. The worse SEO is not SEO that doesn’t create calls and chats. It’s SEO that creates leads that have Medicare, Medicaid, HMO, State Insurance and No money. Or the information seeker is just doing research for a distant friend. These calls and chats you get from these candidates burn out your staff. Worse than that they take time away from a highly qualified caller that is a perfect fit for your center.